Birds can be destructive when they choose to nest in and around your home, under eaves and inside your roof. Mainly Pigeons and Minor Birds are problematic in the Newcastle area. Our methods of bird removal are kind both to the environment and the birds. The birds are removed and set free away from your home and your home is then bird proofed in an environmentally responsible way. 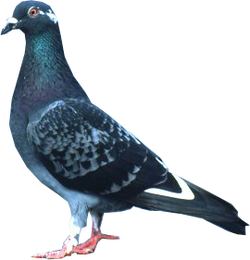 Feral pigeons do not migrate and stay close to their birth place, which may be your home or office. Feral pigeons are attracted to food sources around your home such as outdoor dog bowls, food rubbish and bird baths/feeders. Pigeons leave droppings around your home which can be a possible health hazard and due to their acidic nature, can cause damage to your home including drain blockage. Removing food sources permanently, proper pigeon proofing and removal of nests can deter the birds from returning following trapping. Bird proofing can be performed by our team of licenced Pest Controllers on your home, whether it is an existing dwelling, or is in the process of being constructed. Be sure to call our office to arrange a quote for bird proofing as each case is unique and therefore the price will reflect the amount of work involved and the nature of the products we need to use to make your home bird-free. Call us on (02) 4954 0111.